"Showcasing the staying power of Nexcare Waterproof Bandages with our favorite heroine, Nexcare Nana, has been a driving force for us in demonstrating in over-the-top ways how the bandages stand up to active lifestyles"
ST. PAUL, Minn.--(BUSINESS WIRE)--With summer coming to an end, the team from Nexcare Brand from 3M Company today unveiled the winning idea from their “What Will Nana Do Next?” contest. The contest launched in June as part of a larger digital brand campaign and features brave heroine and unexpected product tester, 87-year-old Nexcare Nana. The Nexcare “What Will Nana Do Next?” contest tapped consumers nationwide to determine Nana’s next daring adventure to showcase in extreme ways the staying power of Nexcare Waterproof Bandages. The Nexcare Waterproof Bandages campaign brings the concept of grand prize winner Robbie S. from Indiana to life. 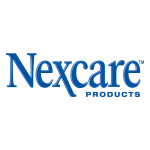 The winning idea features Nexcare Nana in a dramatized product test where she rides top down in a convertible braving the spinning, soapy brushes of a car wash and ultimately emphasizes the strength and superior performance of the bandages against water, dirt and germs. Robbie S., was awarded the grand prize for coming up with the challenge of Nana going through a car wash in a convertible. With her trusty swimming goggles at the ready, Nexcare Nana puts the car in drive and fearlessly faces her next adventure. After it all, she points to her Nexcare Waterproof Bandage, still securely in place. To view Nana putting Nexcare Waterproof Bandages to the test in the contest winning video visit nexcare.com/nana and share the video using hashtag #NexcareNana and tagging @nexcare on Facebook, Twitter and Instagram.